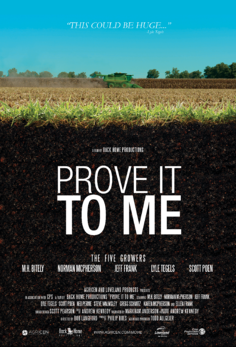 “Prove It to Me” follows five growers through the growing season—from planning and planting to growth and harvest — documenting their experiences, concerns and opportunities as they face ever-changing farm economics and the vagaries of Mother Nature. Each of the growers featured in the film used one or both of Loveland Products’ fertilizer biocatalysts, Accomplish LM and Titan. Each grower speaks about the results they achieved — and about the potential of the product technology to meet the need for sustainable farming practices that also increase yields. Simply fill in your information to watch the full version or 4-minute version of Prove It To Me.